You wouldn’t think about trying to drill a hole with a hammer, or knock a nail in with a pair of tweezers. So why do people persist in trying to connect with particular audiences using precisely the wrong tools? Businesses trying to promote very niche business-to-business products or services via Facebook or Instagram for example – it might work in some industries, but in most it would be a waste of time. Using those platforms to promote to lifestyle products and services to consumers – now that is a smart idea … if done correctly of course. Yet trying to connect with a young audience on a platform that is ‘so last century’! Well that’s not so clever. In a similar vein – certain messages can be delivered quickly with a short strapline, sharp sentence or even a joke, whilst other messages take longer to explain. So you need to think about where to place the different types of messages that could have the power to become the key to your business success. You also need to think about how your different messages and communications channels will work together to create an effective marketing mix for your business. One that really engages your target audience and drives quality enquiries to your business, rather than seeing all your hard work and expensive brochures, website and social campaigns being ignored. How many times have you seen a message on Twitter that makes no sense at all? The person posting the message may only have 160 characters, but it is important to think about who might be reading that post – and if only a handful of people (or perhaps just one other person) stands a chance of knowing what you are talking about then really you shouldn’t be broadcasting to the masses, but instead using direct messages or having private conversations – otherwise potential customers may see your brand as being completely alien to them. 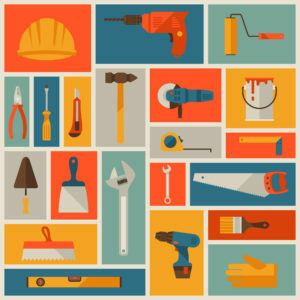 So how do you identify the right tools and messages for the job when it comes to marketing? Firstly you need to know a few basic rules, secondly you need to understand your customers and thirdly you need to track and measure how your business is performing in different areas. So let’s take the basic rules first. Before starting any marketing activity you need a plan. And in order to create that plan you need to think carefully about exactly what you are selling, who you are selling it to – and most importantly why they might want it. Next you need to consider where and when you might be able to find those potential customers in a receptive mood to listen to what you want to tell them about your product or service. Once you have identified some answers to those basic questions, you then need to think about how to get their attention. People and businesses with disposable income or budgets are usually busy individuals, so you need to appeal to something that’s important to them – and to do that you need to really understand that target audience. A good place to start is to look at your existing or past customers. How did you initially connect with them? Are they the kind of customers you would want more of – or are they too much hard work for too little return? What kind of person might be more suited to your most profitable product or service – and how might you go about getting their attention? It’s a bit like dating – before you can find your perfect partner, you need to get to know them first. So next time you think about what your next sales or marketing activity might be, don’t just look at what other businesses are doing – think carefully about who your ideal customer might be and how you might get to know them. Just because a particularly marketing activity seems to be working for another business (or someone suggests that it might be … “aren’t you on Twitter? Oh really, we’ve been tweeting for ages … “) doesn’t mean that your business needs to be on Twitter, so don’t waste time on it, if it isn’t the right thing to do. The latest trend seems to be for businesses to want to create an app. “Our competitor has one so I think we should too.” Really? Is the App going to make it markedly easier for your customers to do business with you? Are there already similar Apps available that consumers are using in your marketplace? Take property searching apps as an example. With the likes of RightMove, Zoopla and others, that feature properties from a range of different agents, no-one is going to download additional apps from individual estate agents when there are several pan-market tools already doing that job really well. So what are the right marketing and communications tools for your business? Please get in touch if you’d like a free, no obligation chat to explore some ideas with us. We all have dreams, but how many of us spend time focusing on making our dreams a reality? Martin Luther King’s illustrious ‘I have a dream’ speech of 1963 asked for everyone to be judged by their personal qualities and not by the color of their skin – and for “all men, yes, black men as well as white men” to be guaranteed “the unalienable rights of life, liberty, and the pursuit of happiness” as promised in “the magnificent words of the [American] Constitution and the Declaration of Independence”. Now, over 50 years on, whilst racism hasn’t been totally eradicated, the rights and prospects of black Americans (and Europeans) have certainly improved; to the extent that the current U.S. president is African American. If that’s not an inspiring realisation of a dream then I don’t know what is! But why all this talk of dreams on a marketing blog? The answer to that comes from my desire to shape my business around my dreams – so that the work I do is focused on what I am passionate about, and not simply something I have to do to earn a living. I want to share that experience with my clients too – as I’m passionate about helping others to enjoy the same freedom and happiness that I crave for myself. So in my marketing business I endeavour to help my clients to realise their dreams of attracting their ideal customers and running a business that isn’t just successful in monetary terms, but also enables them to achieve their own sense of freedom and happiness. But in order to help others in achieving their dreams, I need to achieve my own. I need to learn how to make my own dreams a reality and to share that experience as widely as possible. As I said in the title of this blog post – I have a dream … well actually I have a few, but writing this post has made me realise that they are rather too hazy to make a reality right now, so the first step I need to take towards realising my dreams is to focus on seeing them more clearly. Judith’s work (as my online business coach) is helping me to realise my dreams for the future. But to realise those dreams they need to be properly examined – which I’ve recently discovered I haven’t done closely enough for a while. I have achieved my dreams, in part, in my life so far – as I am fortunate enough to have attained the goals I set for myself as a teenager of obtaining a degree, working in London to gain experience in my chosen field – of PR and marketing – and then working part-time from home whilst raising a family. But having achieved those goals, I now need some new ones. Why is that? Surely I should be satisfied with where I am now? Except the reality is that our dreams don’t always turn out quite the way we expected. What appears from a distance to be a perfect life isn’t always so idyllic when we experience it up close and personal. For someone like me, I need to have clear goals in order to feel motivated in life. I need to feel purposeful and certain about what I am doing everyday and where I am heading. And that’s where I feel something has been lacking recently – my dreams have changed, my horizons have broadened and now there is more I want from life than simply juggling the repetitive challenges of work and family responsibilities. But unlike when I was a teenager, my dreams for the future, beyond this ‘mid-life’ point that I’ve reached, are rather more hazy. So this post is, deliciously, affording me the opportunity to examine my dreams more closely. It has come at the ideal time too – as having embarked on a passion-led business a few years ago, my dreams for that business weren’t realised, so I’d popped it on the back burner for a while, to watch my ideas simmer, until I felt ready to start it again – which I’m delighted to say is now. So when Judith’s invitation came to share my dreams for my “beyond the laptop lifestyle” I saw this as a great opportunity to spend time defining what I really want in the next phase of my life. Like many people who like to travel and live life to the full, I’ve often wondered whether I’d like to live what’s referred to as the ‘laptop lifestyle’ – where you earn a living from your laptop and run your business from anywhere in the world. In theory I could adapt my current business to achieve just that, but I’ve never felt committed to that dream as whilst it sounds nice in parts, I wonder (as a person for whom close friendships and meaningful face-to-face connections are important) wouldn’t I feel a bit lonely and removed from the people I really want to help? One version of this dream, which I’ve held for a while, is to live in a ski resort for 6 months of the year and a scuba-diving resort for the other 6 months – as they are two activities I’ve discovered that I am most passionate about. Combining that lifestyle with my marketing experience may not be the easiest thing to achieve … but who said anything worth striving for would be easy? So I may still explore that option when I don’t have the added complication of 2 children to consider. Some people would attempt it with their children in tow (as I know at least one family in the Own It interviews has done) but I guess I don’t have the necessary commitment (or support from other family members) that would be required to make it happen. That dream isn’t clear enough … yet. The other dream I’ve held for a while is to develop that passion-led business that I referred to before – or my ‘passion project’ as I’m calling it now. It’s all about creating an online magazine, not just a blog, but a fully fledged magazine. It was a food magazine, but has now morphed into a lifestyle magazine, about experiencing and sharing what I call the ‘Feel Good Factor’. Where everyday you wake up feeling positive, purposeful, empowered and energised to live the life that makes you ‘Feel Good’. It’s work in progress, which is why it isn’t live yet – but hopefully, soon, this blog will be on that website as well as my Marketing Mechanics site (as I’m not planning to totally stop my marketing work – but instead to combine the two). This may be too ambitious a dream, but we will see. So far my clients seem pretty happy with what I’m doing for them, alongside my passion project, so long may that continue. What I do know about my future ‘beyond the laptop lifestyle’ is that it’s all about balance. It’s about having a perfect mix of excitement and calm; time with others and time alone; time working and time where I set myself free, doing things that really ‘feel good’. Travel will certainly come into it, once the kids are older and need me less on a day-to-day basis. Meanwhile, I look forward to listening to Own It – The Summit on 18th June and learning from those people who have already achieved their perfect balance in their ‘beyond the laptop lifestyles’. I will write more after the summit about what I have learnt from those interviews, how that has helped me to see my dreams more clearly and how I plan to move forward. If you too have dreams and would like to keep in touch to share thoughts and ideas about marketing and / or our respective dream-focused journeys then please sign-up here. – 1 hour meetings to discuss your aims, objectives and individual business situation. – A diagnostic evaluation of your business and your current marketing and communication activities. – An outline marketing plan – including tailored tips on how to engage and inspire your audiences. Simply Contact Us to book this service or find out more.